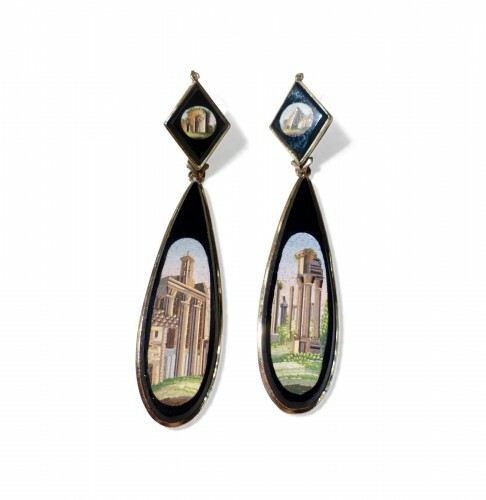 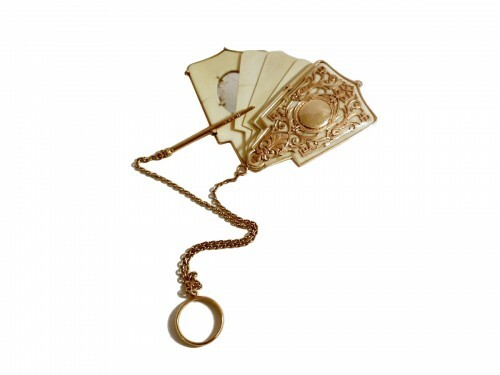 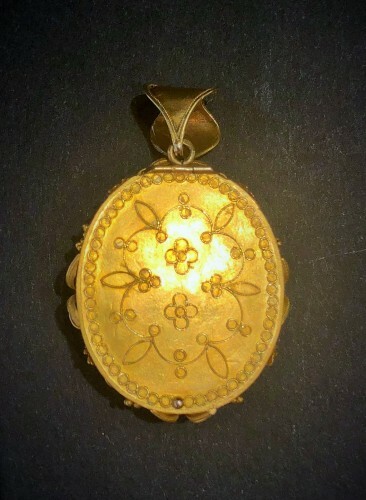 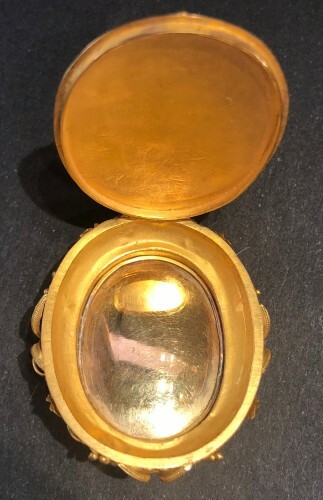 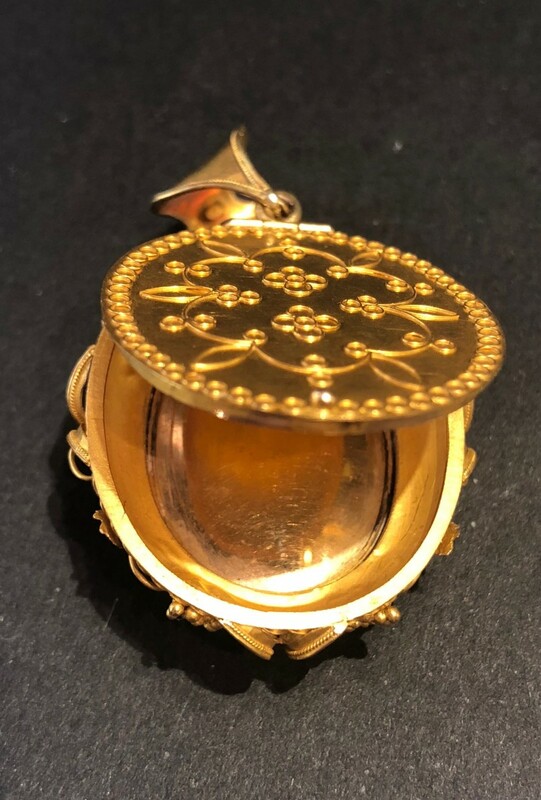 18-carat Yellow Gold Medallion door-memory. 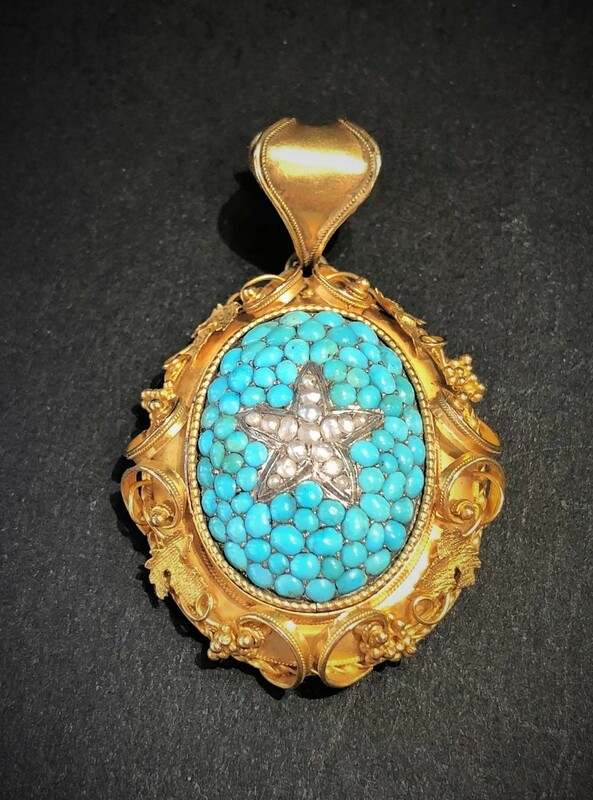 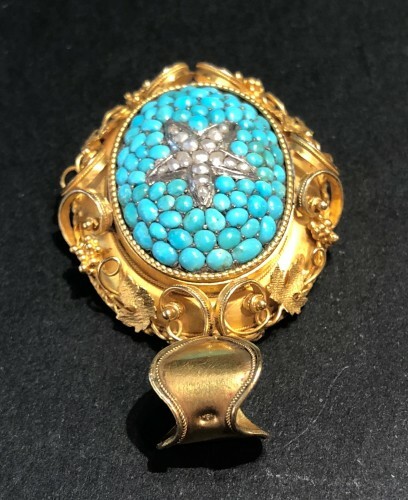 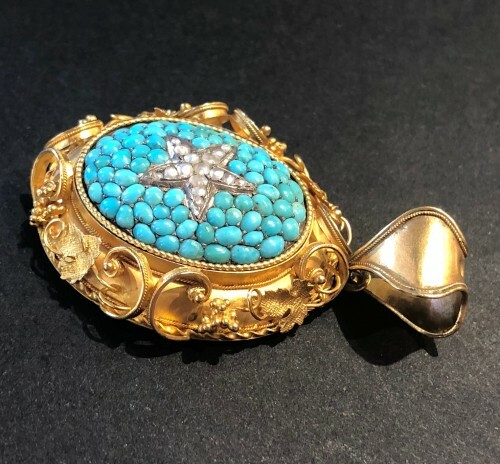 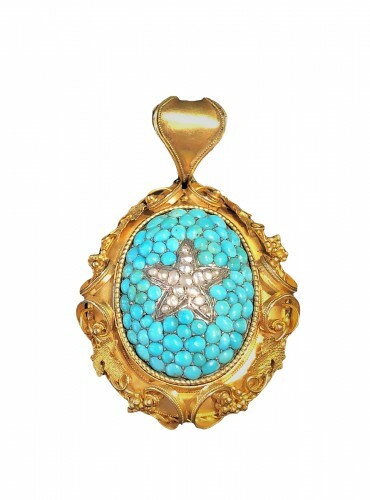 It is adorned with turquoise and centered a star paved with pearls. 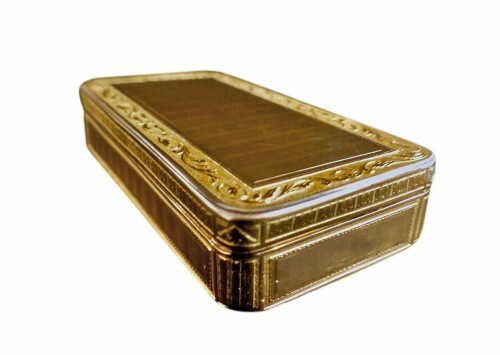 The edges are carved leaves of vines and grapes.